So, you want to be a writer? You think you have some talent, maybe an idea that people need to know about, or perhaps you have the next great novel swirling in your brain, and you're not quite sure about how to get noticed. You have a lot of company, and that's what makes you a target to get ripped off. Following a lengthy investigation (involving 175 complaints) by the Florida Attorney General's office into Robert M. Fletcher, his girlfriend and two accomplices, along with a large collection of purported companiessoliciting writers who wanted to get published -- the state filed a lawsuit that details an elaborate alleged scam that ran for at least four years, with victims from throughout the U.S. and as far away as China. "Through a constantly changing spider web of defunct corporations in Florida, Nevada and Wyoming, as well as websites, and unregistered businesses, Fletcher has created a business which generates hundreds of thousands of dollars annually from prospective authors relying on the unfair and deceptive advertising," according to the lawsuit. A woman answering the phone listed on one of the sites run by Fletcher said no one there would be able to respond due to the pending legal issue, but offered an email address to direct any questions. An email to that address received a reply that Fletcher was interested in responding and the request had been forwarded to him. "We are assisting the Attorney General in resolving this matter as rapidly as possible and we look forward to reaching a mutually agreeable settlement before either party spends an exorbitant sum of money. The Attorney General has 175 complaints from four years of our business," he wrote. "During the same time, we assisted 30,000 authors. 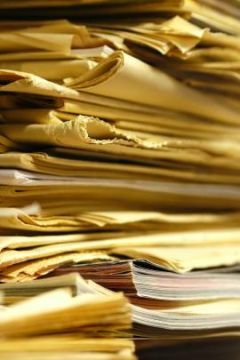 If you will visualize each complaint or author as equal to one piece of paper, that is half a ream of paper compared to 60 reams of pager. That's about 1 inch of paper as opposed to 10 feet of paper. As you can see, our complaint rate is much less than 1 percent. After a successful resolution with the Attorney General, we will be filing lawsuits against our detractors. We plan to present our position and answer questions on our website, www.StrategicBookGroup.com. Please stay tuned and visit the site often. We are excited about bringing our story to the industry. It is time to set the record straight." Through a series of some 20 web sites (here's one and another very similar one) and a variety of company names, Fletcher's group of purported literary agents collected money from the wannabe writers -- supposedly to help promote their work. At first, the targets were from coast to coast in the U.S. and then the boundaries were lifted, according to the lawsuit. Most of their "clients" paid between $78 and $1,500 apiece for various services from the firm. The lawsuit said no services were rendered. Fletcher, based in Boca Raton, Fla., was pocketing an estimated $600,000 a year, according to the lawsuit, "for no legitimate efforts to provide the consumers the help they paid for, leaving only frustration and disappointment for aspiring authors once they realized their money was paid, not to a legitimate literary agency, but a scam." An aspiring writer would come across one of Fletcher's web sites, which featured a promise of no-upfront costs -- differentiating from other potential scams and vanity publishing houses. The writer would then submit a manuscript for evaluation receiving the reply that their work was, indeed, good enough to be published. Then, the author would be told of arrangements to get a critique and other services each for a fee from a "trusted affiliate," all of which were controlled by Fletcher. The writer would then be told initial attempts to get the book published had failed and be offered the chance to participate in the "aggressive agent" program for still more money. Typically, the Attorney General alleges, these people hoping to get published would pay about $600 each before giving up. After learning he was under investigation, Fletcher allegedly got more brazen, expanding his operation and claiming now to be in publishing in addition to being a literary agent. He allegedly would contact previous victims with a "new" opportunity from a publishing house -- another fake entity whose proceeds he also received. Some the firms were "acquired" by the AEG Publishing Group, still another of Fletcher's name changes. Those who chose to pay more would get "published in a non-professional manner, with spelling and other glaring errors, on low quality paper with low quality book covers by a 'vanity' publisher who would publish on demand (following payment)," according to the lawsuit. The web is littered with complaints about Fletcher's operations. In one string, he (as Georgina Orr, vice president of corporate affairs) responds with a lengthy denunciation of critics and accusers, explaining they are not scam artists and don't take fees. The post closes: "If you are unwilling to spend any money to improve your writing, then please go away. If you are willing to take a small chance with us, then give us a try." You can learn more about scams intended to pry money from people who want to be writers from a site called "Writer Beware" run by the Science Fiction and Fantasy Writers of America.